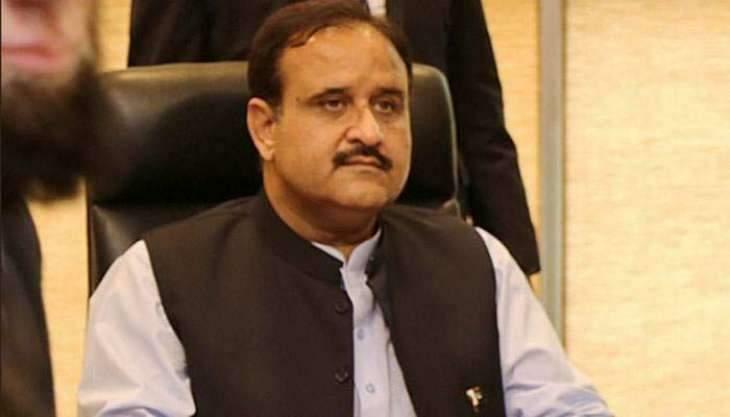 LAHORE, (UrduPoint / Pakistan Point News - 17th Apr, 2019 ) :Punjab Chief Minister (CM) Sardar Usman Buzdar on Wednesday approved the draft of provincial development strategy 2023 which would now be presented before the provincial cabinet. He was presiding over a high-level meeting at office of Planning and Development (P&D) to review provincial development strategy 2023 and progress on provincial annual development programme (ADP) 2018-19. Addressing the meeting, the CM said that a composite development strategy had been devised to promote the provincial economy on the durable lines. The growth rate would be increased and investment would be promoted in collaboration with the private sector, he added. "We want to rectify the geographical imbalance of the past governments with regard to development and the goal of balanced geographical development would be achieved through a comprehensive development strategy," he maintained. He said that solid steps would be taken to increase the provincial resources so that people could be provided with more facilities. He said that more resources would be allocated for the provision of education, healthcare, clean drinking water and other facilities. Sardar Usman Buzdar said that the draft development strategy had been devised with the utmost care, hard work and all the stakeholders had also been consulted. The policies and governmental steps would help to alleviate poverty to improve the quality of life of people, he asserted. Secretary P&D gave a briefing about the important points of development strategy 2023. The CM expressed displeasure over the failure of some departments in the timely utilization of development funds released for different schemes during the current financial year. He said that timely completion of public welfare schemes was essential and directed to ensure timely utilization of funds for public welfare schemes. Delay in the utilization of development funds should be avoided, he said and added that the funds released to different departments should be properly utilized on public welfare schemes. Provincial ministers Raja Basharat, Makhdoom Hashim Jawan Bakht, Malik Nauman Ahmad Langhrial, Yasir Humayun, and others attended the meeting.